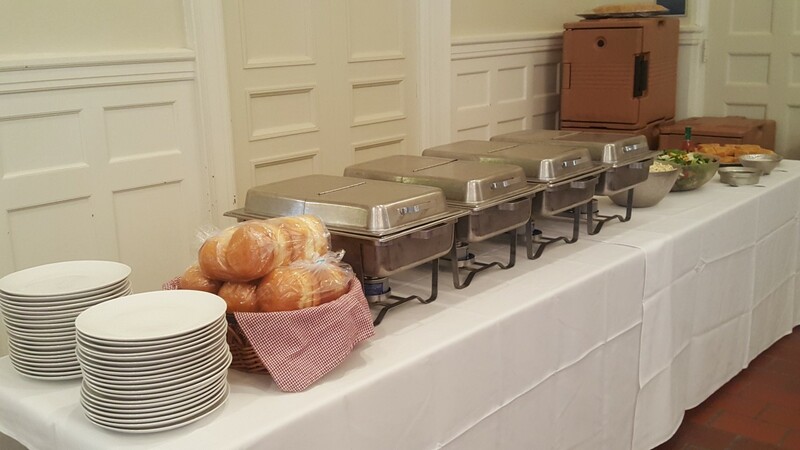 The key to a successful event starts with the best food money can buy… and no one can buy better barbecue (no, not anywhere) than the barbecue available from Buz and Ned’s. We are (modestly speaking) Richmond’s only world-class barbecue caterer. Our list of customers has become a Who’s-Who of party givers. Just call our customers. They’re not at all bashful about telling you just how good we really are. 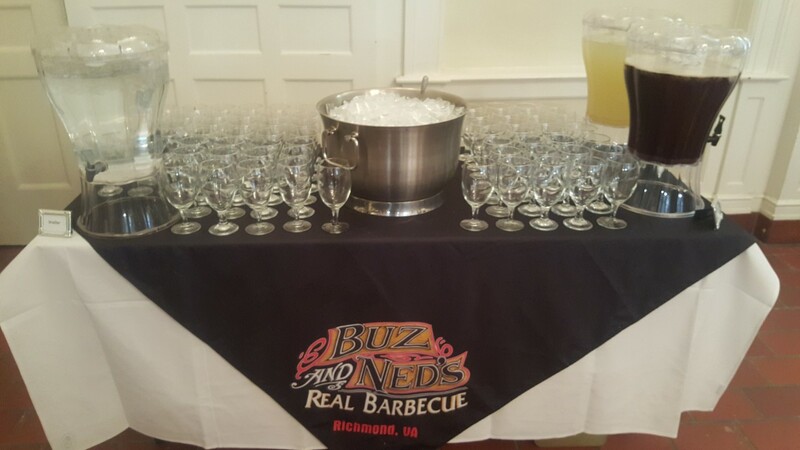 Buz and Ned’s Real Barbecue has pioneered upscale “Barbecue” catering in Virginia. From a great big graduation party for 500 at an exclusive boy’s school in Orange, VA, to a sporting clays competition for 150 in Providence Forge. From an annual sailing regatta for 400 in Urbanna to a dinner for 120 at the Governor’s Mansion. 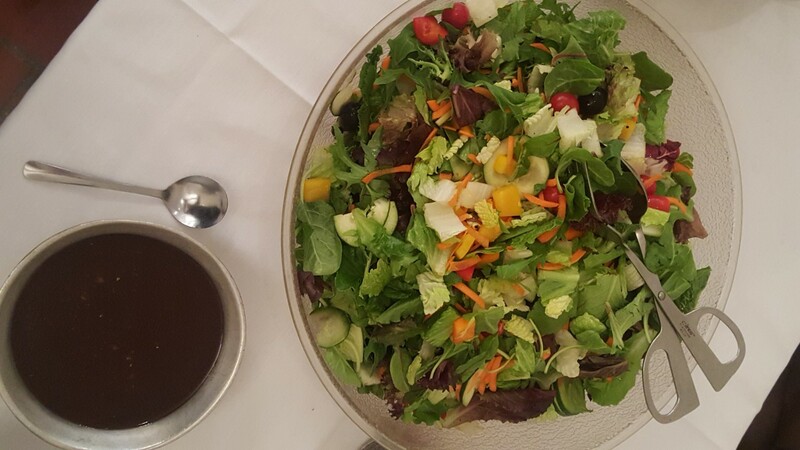 Even a “BIG WILD GAME DINNER” for 300 in Northern VA. Buz and Ned’s can do it all… with style. Barbecue (to Buz and Ned’s) means anything that can be cooked on a barbecue pit and/or an open grill… from the traditional pork butts, beef brisket, pork and beef back ribs and chicken to more unusual items such as baby goat or lamb, smoked duck, wild game, marinated and smoked whole beef tenderloin quail or goose… and our word-class quality carries right on through to the accompaniments, clear to the desserts. 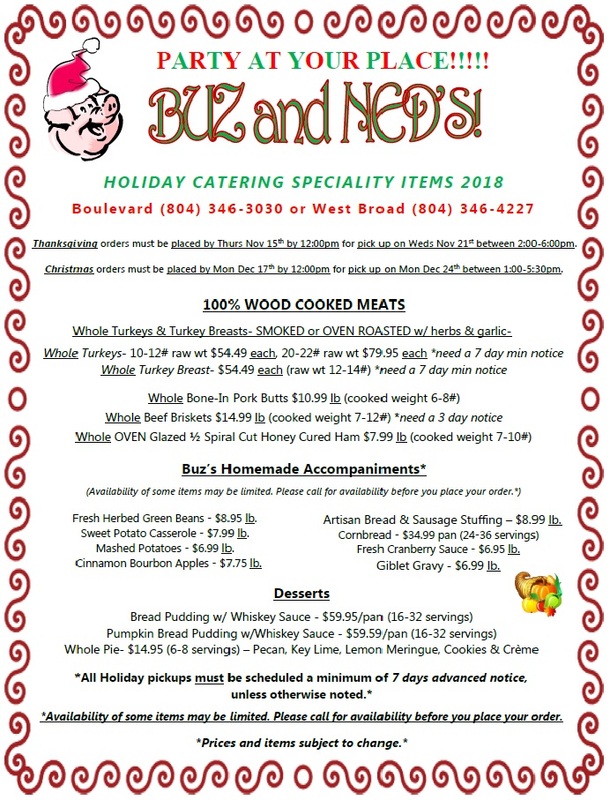 The number 1 asset, of Buz and Ned’s Catering, is Buz himself. He will personally cook most of the specialty items on your menu. 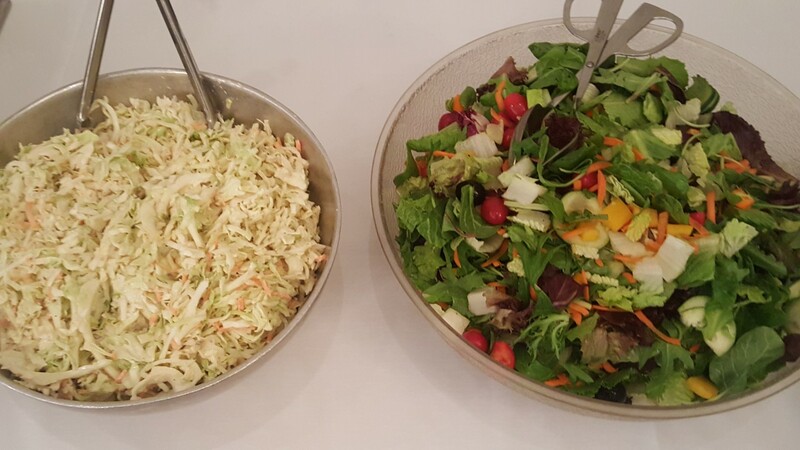 More often than not, if there is on-site cooking to be done at your event, you will see Buz in the trenches with his staff, making certain all is right for you. 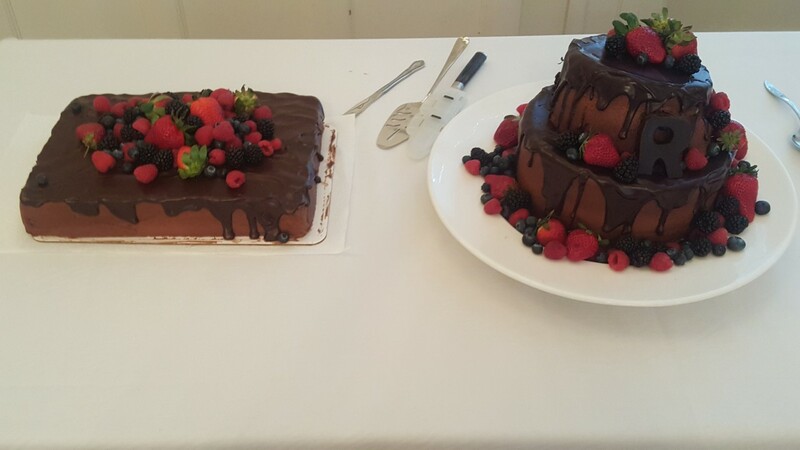 Buz’s passion for quality and consistency is what you want for your event and that cannot be duplicated. Don’t take our word for it. Ask us for references. 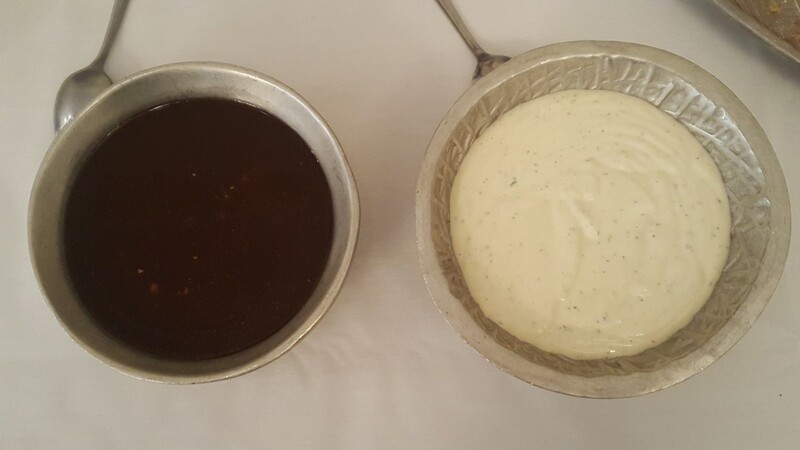 Self Service Catering Full Service Catering Catering FAQ Catering Inquiries View our holiday Menu!